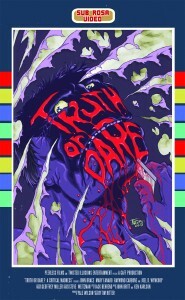 Yep, it’s Finally Here – TRUTH OR DARE VHS/CD Combo Up for Sale! Hey all, we are please to announce that “Truth or Dare” is now available. We are expecting a quick sell-out of this title so quit reading this article and get to the Sub Rosa store NOW! What? You’re still here? Ok, well you can get more info on our NOW AVAILABLE page, which details the sweet goodies with this release. This one includes the Best of Twisted Illusions CD soundtrack! 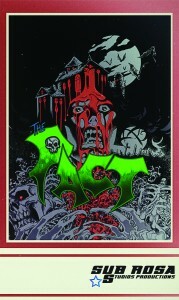 Meantime, we need to get back to work prepping Brad Sykes “The Pact” and Tim Ritter’s “Killing Spree”. And further on down the line we have Worm Miller’s “Hey… Stop Stabbing Me!” coming out. We also have some ultra cool releases to announce very soon, so stay tuned!